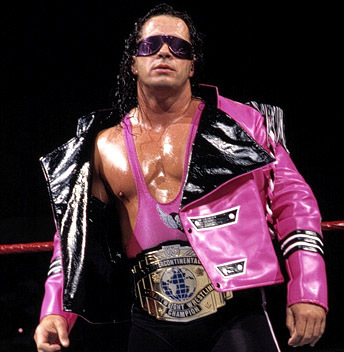 As we kick off Bret Hart Week, the first place we have to start is the beginning of the Bret Hart run as a singles wrestler. After the breakup of the Hart Foundation, Bret seemed poised to be a star going forward. 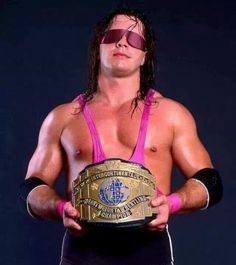 After breaking away from Jim Neidhart, we saw Bret get into position to challenge for the Intercontinental Championship. Today, we take a look back at the journey Bret had to the IC Title and his reigns carrying the belt during 1991-1992. During this era, the IC Title was a title that was essentially the stepping stone to the main event. 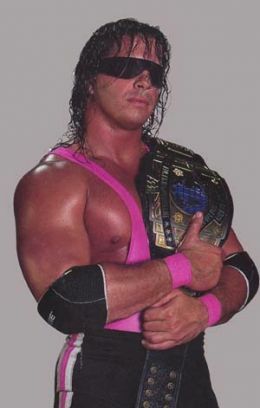 Just a few short months after Bret and Neidhart split up, he was granted an IC Title shot against the champion Mr. 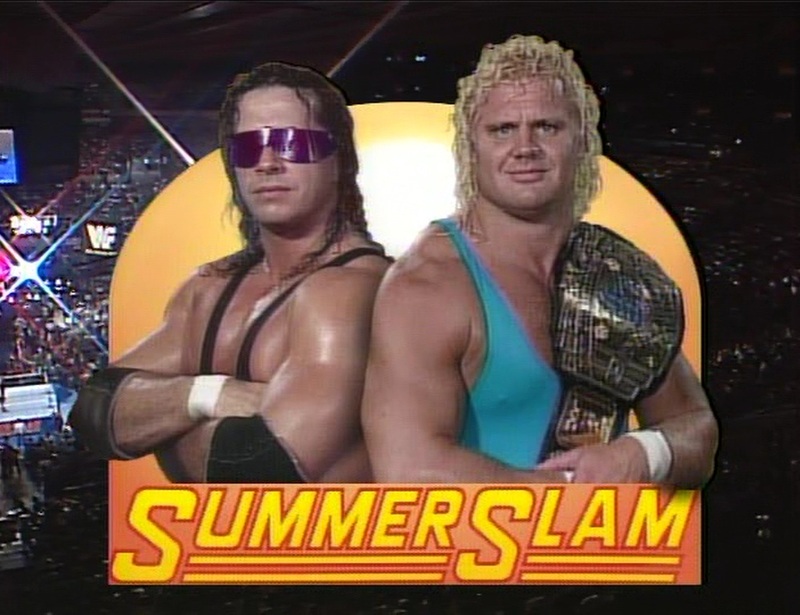 Perfect at Summerslam 1991. The feud would be great and the build up almost felt like a bit of a passing the torch moment in some ways, as Perfect had been a fixture as a singles wrestler for a few years and Bret was just coming of age. 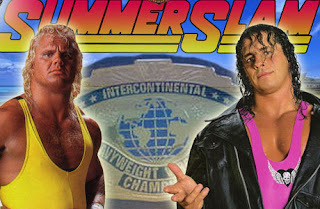 Bret and Perfect would put on a true classic and Bret would make Perfect submit to his finisher, the Sharpshooter and win the IC Title. Bret would end up defending the IC Title at various house shows, but his first true televised defense didn't come until he beat Skinner at Tuesday In Texas. Bret unfortunately had the terrible misfortune of being IC Champion at a time when the competition was pretty light honestly. Bret would drop the belt to the Mountie and he essentially didn't even get a rematch right away like normal. Bret and The Mountie had a very odd feud, but nothing was more strange than The Mountie winning the title just to lose to Roddy Piper very quickly 2 days later at the Royal Rumble. This would set the stage for a huge match going into Wrestlemania 8 between Piper and Bret, a dream match of sorts with the legend Piper against the new up and coming star Bret. 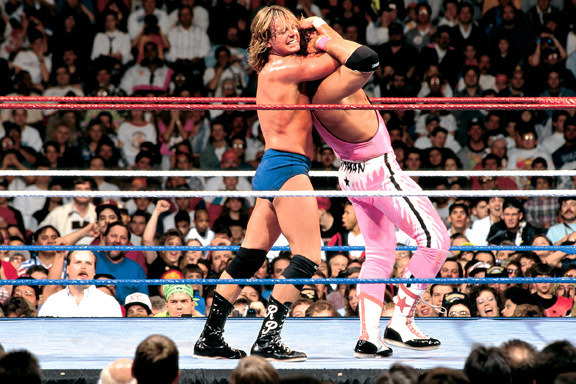 What occurred at Wrestlemania 8 was a true display of great wrestling as Piper and Bret put on a near classic and Bret would be one of the first to cleanly pin Piper in his career. Piper and Bret had a back and forth match where it seemed they had immense chemistry and Piper teased possibly going full heel in this match, but it never happened. Instead, the match went down as yet another passing the torch moment and Piper put over Bret to give him huge momentum for the Intercontinental Championship and his career period. After the huge Piper win, Bret would hold the belt for some months and there are only two true noteworthy title defenses in his reign. He defeated Shawn Michaels in the first ever WWF ladder match on the Wrestling Challenge and that would set a bar for the WWF going forward and introduce a match that still to this day brings fans excitement and entertainment. Bret and Shawn didn't have a true classic, but this match was definitely a good one and a highlight of Bret's title reign. 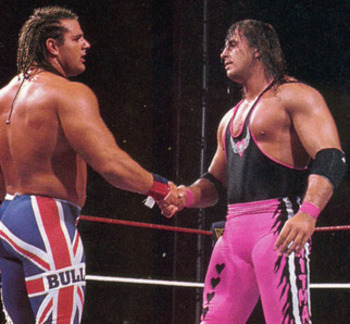 The one thing that stuck out about Bret's title reign was his willingness to work with whoever and put out a great match. We saw that Bret was truly ready for the main event as he would carry the IC Title with pride and showcase his strength as a star. His final Intercontinental Championship title defense would come at Summerslam 1992. In the main event no less. 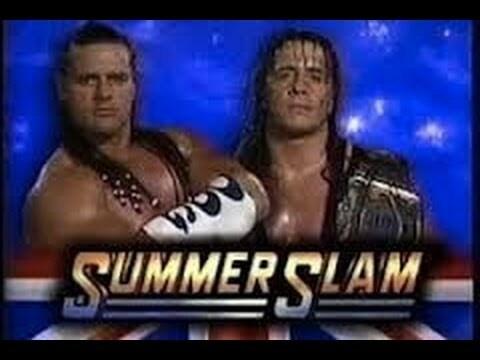 It is very rare that an Intercontinental Championship match headlines a PPV, let alone a Summerslam, but when you take into consideration that the PPV was in London and the British Bulldog was Bret's opponent, then you have to be truly aware the magnitude of this match. Bret and Bulldog put on an absolute classic match for 30 minutes and Bulldog would garner the victory in front of about 80,000 screaming fans. Even in a losing effort, Bret showed why he was main event ready and why he was the future of the WWF. After losing the Intercontinental Championship, Bret would never really get back into that title picture, and he'd soon move up to the big title, the WWF Title. More on that tomorrow. However, Bret wore the IC Title with pride and defended it against some of the best, proving he was ready for the big stage. If only the WWE would do this with the belt now.